We get questions about batch shipping processes more often these days as more shippers are looking for creative ways to do more with less. The basic idea of batch shipping seems simple enough: automate the major pack and ship steps across "sets of shipments" to get orders out the door faster with less user intervention. Dig a little deeper, however, and you'll find that different businesses have very different ideas about what constitutes a batch, where ERP integration fits into a batch process, and how the shipping automation should work. The Shipping Workbench provides probably the easiest and most obvious form of batch processing in Pacejet and it's very popular with our users. 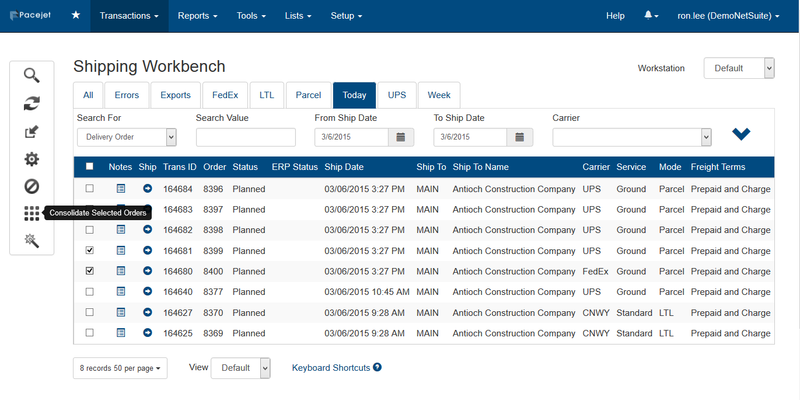 Acting as a "virtual desktop" for the warehouse team, the Shipping Workbench provides a simple queue of "ready to ship" orders, staged most often with automatic and asynchronous ERP integration, and organized via tab-based "saved searches" to help shippers quickly locate orders by carrier, date, or other criteria. You can select small sets of shipments on the Shipping Workbench and click "auto ship" to process them as a batch, but it's the flexibility to interleave batch workflows with rate-shopping, consolidation, scan-and-ship or other use-cases that makes the Shipping Workbench a popular method of batch shipping. If your business sends dozens or hundreds of the same product or product combinations out to groups of customers, then the Pacejet High Volume Batch module may be a more appropriate tool for your needs (see the earlier blog posting high-volume batch video demo). The High Volume Batch module came into being to help customers who needed a highly automated way to ship samples, new season/new store "launch kits" or other repetitive types of shipments. Unique to this module is a feature to create a "template shipment" with packaging, weight, and other details defined and then apply those attributes across hundreds of shipments pulled together into a group using the shipping workbench. Another unique feature of the High Volume Batch module is separate control over Rating, Shipping, Printing, and ERP Update steps so work can be processed in the background and staged for rapid execution when shippers are interacting with the system (e.g. shipments process in the background as one "activity" and the labels or documents print rapidly as another "activity" at a later time). Another variation of batch processing is a special use-case we call shipment consolidation. With shipment consolidation, users can locate a set of shipments with similar characteristics (e.g. from the same place to the same place), pack them together into one set of containers, and process the batch of orders as a single shipment with a carrier. Like all Pacejet shipping activities, automatic ERP integration is used to update all of the orders in consolidated shipments, the only change involving some new configuration options to control how freight billing is handled. The last batch shipping example for today's post involves a new "Auto Ship" checkbox feature in the upcoming NetSuite v5.11 bundle (see blog posting here). The Auto Ship checkbox allows users, custom scripts, or third party applications to mark ERP item fulfillment records for automatic shipment processing by Pacejet. Used in combination with the asynchronous ERP integration, the feature essentially provides a "head-less" or "no user interface" type shipping process by instructing Pacejet to process shipments as soon as they are ready. Pacejet batch processing features can be a very useful way of managing highly automated shipping for large quantities of orders. Like many tools, batch processing is not a fit for every business or for every use-case. 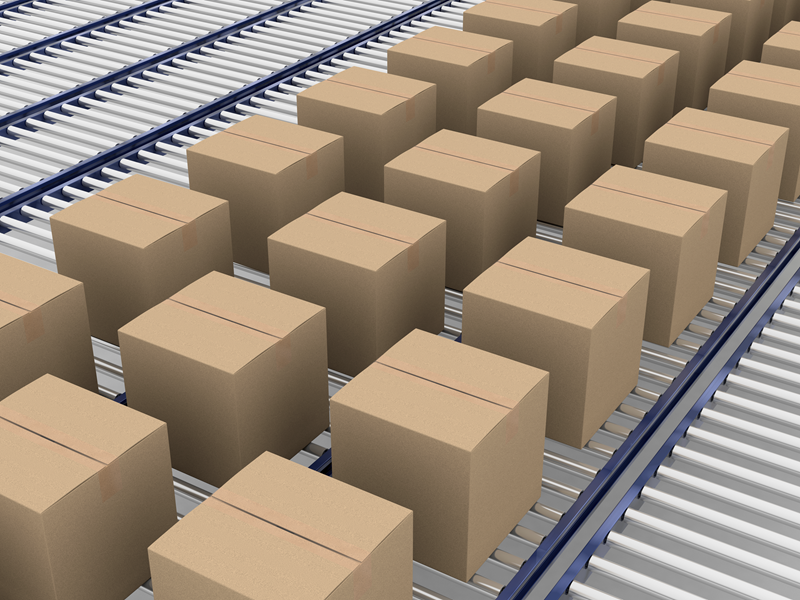 For example, packaging and weight details typically must be defined automatically for shipments if you plan on processing them in large batches without user-intervention. Give us a call if we can help you sort out the details of your shipment types where batch might be helpful. Interested in learning more about batch processing or other features of Pacejet cloud shipping solutions? Contact us today at 877-722-3538 or via pacejet.com.